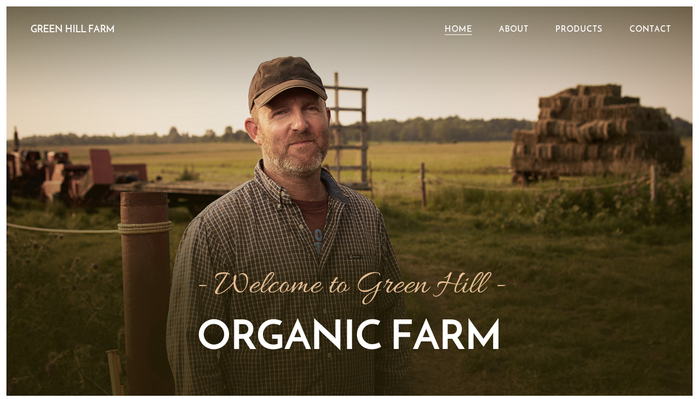 Let your farming business grow with this rustic template perfect for all organic farmers and produce sellers. 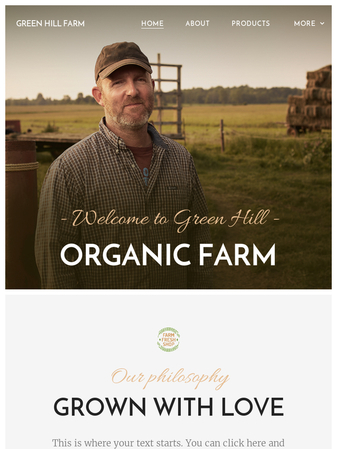 Decorative fonts and lovely images will give the website a warm, welcoming feel. Your visitors can choose from a well-arranged list of tasty produce and quickly place an order with an intuitive order form. Your food can be on their table in a moment.